I've posted these to FB, so I thought I should probably post them here too. 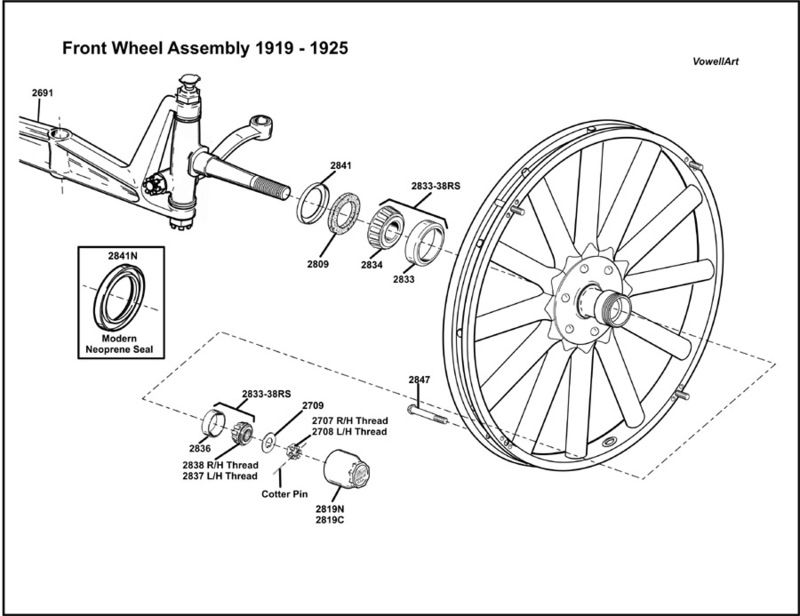 Since I did the 26-27 Front Wheel Assembly, I thought I should do 19-25 as well. The earlier versions I'm working on also. What a great drawing, Keep posting your beautiful drawings. Martin, love your work. Thank you. 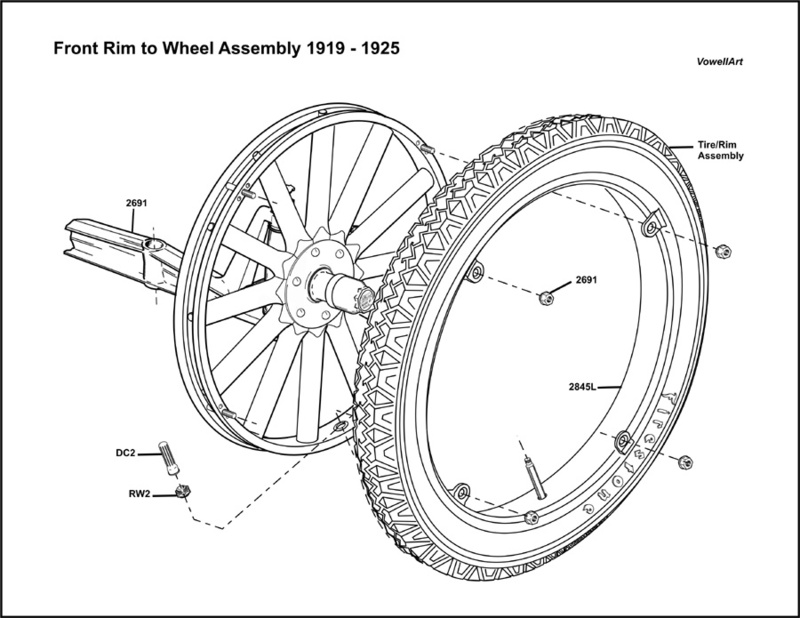 If I understand correctly, wooden felloes were still available up to 1925, so would you also do a drawing of a wood wheel with a clincher rim. Martin, excellent work again. Our Canadian sourced cars had Kelsey loose lug wheels and rims right up to late 1925. I thought early demountables in the USA were also loose lug types. That may affect the dates you ascribe to the drawing. If they ran loose lug and fixed lug wheels concurrently, your dates would be correct. As always with these cars, just when you think you've got a bloody handle on the wheels, somebody up and suggests a totally unlooked for version. Allan, my car is a 22 with Kelsey wheels and rims and they are fixed lugs. I'll probably do those loose lug wheels as Canadian's though and leave the dates the same. Whilst it is true you could get wood felloes clear through 25 and into 26 they were also Timkin's and not ball bearing wheels...the earlier ones I was mentioning were the ball bearing wheels for 1915-1917, round spokes. I've done wood felloe ball bearings for 09-11 tear drop spokes already, so that leaves 12-14 with the oval spokes and whatever other out of the ordinary wheel that pops up also. Oh yes, the other wheel I just thought of this morning...split rims. 26-27 had them on sedans and I think coupes (not sure on that one though) but they were definitely on 26 4 door sedans, so I'm assuming the same holds true for the 27 as well. Eagerly awaiting your split rim drawing Martin. I have all of your drawings saved on my computer. Thank you for creating them. They really are spectacular and very helpful.